Where can you stream Batman? 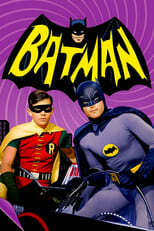 On 1966-01-12 Action & Adventure/Sci-Fi & Fantasy TV Series Batman first aired on ABC. Written and created by William Dozier & Lorenzo Semple Jr., and produced by 20th Century Fox & Greenway Productions, Batman has ended and last broadcasted on 1968-03-14.